The offshore island Ile aux Cerfs is located near the east coast of Mauritius and fullfills the dream of every tourist: crystal clear, turquoise water, white sand beaches and rich green palm trees are making a day on the small island unforgettable. The “Deer Island” is not a insider´s tipp anymore. Every day many tourists, as well as guests of Hotel Touessrok are visiting the beautiful Ile aux Cerfs. Even though it is not a desert island, its worth to make a trip to Ile aux Cerfs, because it is still very close to the island of one´s dreams. So it is a must-do to visit this amazing place. After arriving at the jetty, you have to follow the way on the left side, passing by the toilets, showers and souvernir stands, to arrive at the vivid part of the island. In case you are getting hungry, Touessrok´s “Sands Bar” and seafood-restaurant “Paul et Virginie” are providing sustenance. You have to be aware of high prices, though. If you do not mind having other tourists around you, you can have a swimm at the northern tip of the island, while listening to the sounds of “Sands Bar´s” reggae-music. In case you want to use the sunbeds of Hotel Touessrok, you have to pay a charge of 135 Rs. It takes about 3 hours to walk around the island. The beaches in the south-west are not safe for swimming. If you take a short walk to the right side of the main beach you can discover some idyllic and secluded coves, where you can relax and enjoy the beautiful landscape. On the island there is a 18 hole championship golf course designed by the famous golf player Bernhard Langer and opened in 2003. The golf course is part of Hotel Touessrok and is known as the almost perfect place to play golf. This exclusivity has it´s price. The green fee costs more than 200 Euro. On Ile aux Cerfs you can also do some watersports, like snorkling or paraseiling. Trips with glasbottom boats are also offered. You can book these trips at the kiosks at the beach. Almost everywhere in Mauritius you can book tours to Ile aux Cerfs. The tours itself and it´s price are depending on the travel agency. Grand Bay Travel Tours (GBTT) is one of the island´s leading travel agencies and offers a recommendable Daytrip to Ile aux Cerfs, which is called “A taste of Paradise”. In the morning you are going with a bus to the east of the island to Trou d`Eau Douce. From there you go with a speedboat to the beautiful waterfall “Grand River South East”. Afterwards you go to Ile aux Cerfs, where you stay about one hour. Then you are picked up with the boat to go to another small offshore island. There you are having barbecue while listening to sound of live Séga music. 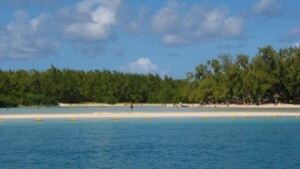 After having your delicious lunch you can spend some hours at Ile aux Cerfs. Time of departure is 4 pm. Those who want to organize the trip on their own have to go to one of the piers to take a boat transfer to the small island. One of the piers you can find besides Hotel Touessrok. Also in Trou d´Eau Douce there are two piers. It takes around 10 to 15 minutes to go to Ile aux Cerfs. The boat tickets vary in price between 200 and 500 Rs. The last boats are leaving between 4 and 5 pm. 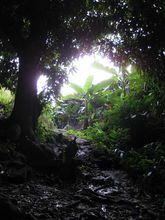 The volcano Trou aux Cerfs which was active millions of years ago is located in the middle of the Mauritian city Curepipe in the centre of the island. 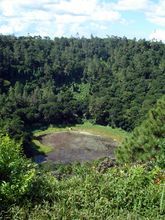 The crater of Trou aux Cerfs is approximately 300 meters wide and 650 meter high. Today the crater ground is covered with silt, water and covering vegetation. 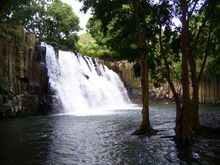 Trou aux Cerfs is one of the many tourist attractions of Mauritius. When you reach the top of the volcano, where you can get by car, you will see some parking spaces, little shops and public toilets. The street surrounds the crater but I would recommend to park the car at the entry and to walk around. Gorgeous views all over Mauritius will appear in front of you. 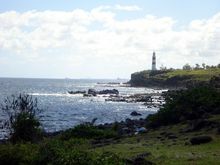 To the west you can gaze directly on the coast and the famous “Rempart Mountain” which is located just in front of Tamarin. Close by, the view goes directly on the three peaks of the “Les Trois Mamelles”. In northwest direction you can see the „Mont St Pierre“. Besides that you have a perfect overview of the cities of Mauritius which are located in the centre such as Curepipe, Port Louis, Quatre Borne, Mokka district, Reduit, Rose Hill etc and you can even see some of the coastal resorts. 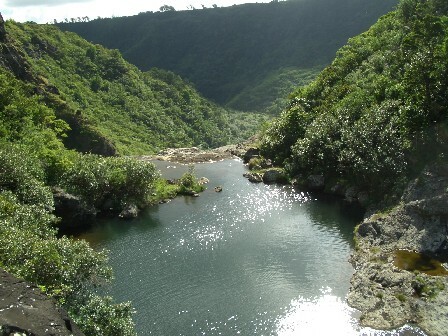 There is also the possibility to scramble down the crater to the water level, but please be careful. The trail can be precipitous and slippery. To make the trip to the volcano perfect you can visit the botanical garden of Curepipe and complete the day with a delicious dinner in the noble restaurant Ginger which is only ten minutes by car from the volcano away. 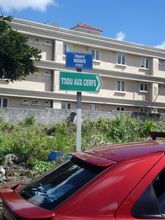 On the motorway between Port Louis and Quatre Borne there is a roundabout where you can take the road to Curepipe. This road will first pass trough the industrial centre of Phönix. You need to follow this road until you reach the centre of Curepipe. After a while you will reach a junction where you will see a green sign to Trou aux Cerfs to your right. After some more meters you will see another sign before you finally reach the volcano of Mauritius. Even though Albion is located directly on the coast tourism takes only a small part in this coastal resort. Except of a big Club Med Resort which was build up on the southern end of Albion a few years ago there are just a few additionally accommodations for tourists available. The public beach of Albion is a small, calm bay covered with white sand, several trees, and off course the turkeys blue lagoon in front. 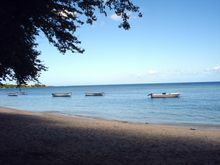 You can see quite a lot fisher boats in front of the beach which gives you the typical Mauritian flair. 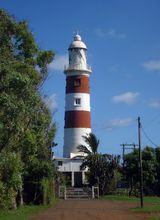 Albion is located on the street between Port Louis and Black River. You will find a sign to Albion on the way. Also the light house is signed out. The Domaine les Pailles is one of the first and the oldest domains in Mauritius and it exist since 17 years. The 1500 hectare large area of the Domaine les Pailles is situated in the centre of Mauritius between the capital Port Louis and the town Quatre Bornes. The tours starts at 10 am with a nice non alcoholic welcome cocktail in the visitor centre of the Domaine les Pailles. Afterwards one of the friendly guides will pick you up and will bring you to a live Sega show. After the introduction in the Mauritian culture you will visit the sugar mill which was build in the 18th century. 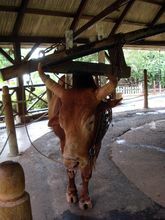 Once you arrived here, the guide will explain you the entire process of the sugar production. In between you have the chance to try and taste the sugar in its different stadiums. The next stop is the rum distally which is also rebuild from the 18th century. 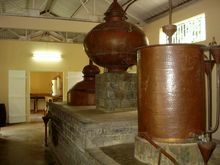 The Domaine les Pailles is still producing the home made rum over here which you can also try. Afterwards the tour stops at the spices garden where grow all the different spices which are used in the Mauritian cuisine. You can experience all different spices like cinnamon, curry, chilli, pepper etc with all senses. After the stimulation of your taste sense you will have the possibility to enjoy a delicious lunch in one of the first class restaurants of the Domaine les Pailles. An old train is going around the property of the Domaine les Pailles. 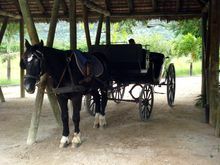 The driver will give some interesting information about the different buildings and activities. A ride with the train will take around 10 minutes. An exploration on a carry horse is also possible. The ride will take around 15 minutes. 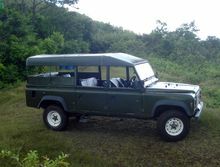 The safari in a 4by4 Jeep trough the hunting area of the Domaine les Pailles is another activity which can be done at Domaine les Pailles. The tour starts at the main parking of the domain. A real safari Jeep will bring you up the mountains. Approximately 3000 dears are living in the hunting area which you will pass. To see some of them is more or less guaranteed. In the middle of the shaky drive you will make a pause at the highest point of the tour which is 400 meter high above the sea level. From here you can enjoy the gorgeous view over the area. Afterwards the way down starts which is at least as exciting as the way up. And please don’t worry if smoke is coming out of the Jeep. You definitely will reach the car park again. The tour starts daily at 10.30 am and 2.30 pm and the duration is around 1 and a half hour. Furthermore the Domaine les Pailles offers a wide range of different events such as organized birthday parties, weddings, business meetings etc. Please contact the Domaine les Pailles for more information. Chamarel itself is a small village but close to it you can find two famous sights. First you are directed to Cascade Chamarel, which are impressive waterfalls. 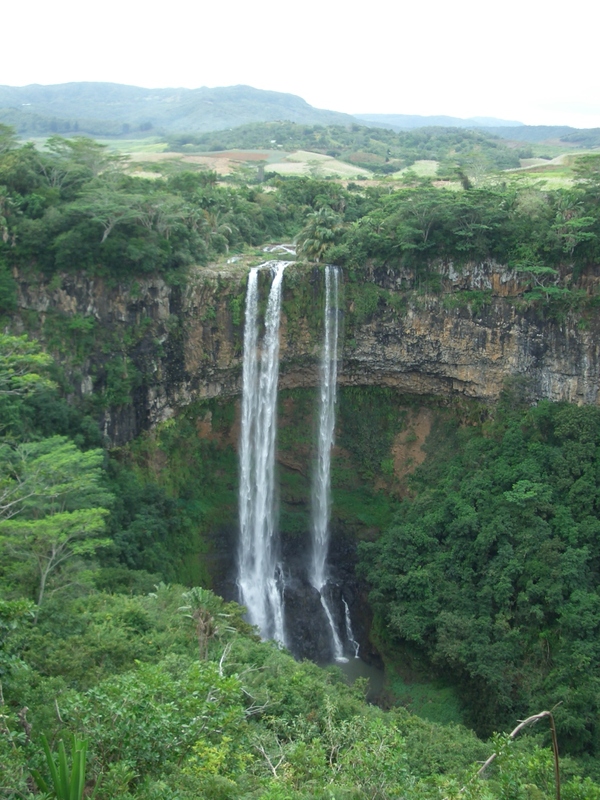 With a height of 127m they are Ma uritius’ highest waterfalls. 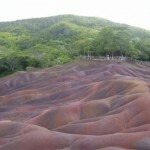 After that you follow a road through sugarcane fields until you reach the Colored Earth of Chamarel. Due to different chemical reactions the earth has 7 different colors. It almost looks like moonscape. Chamarel is in the southwest. You follow the main road through the village until you see a sign to the left that says “Terres des Couleurs”. Just follow that road, the waterfalls are very well signposted. 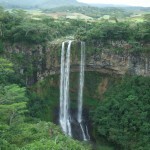 The Rochester Falls are the widest waterfalls in Mauritius. 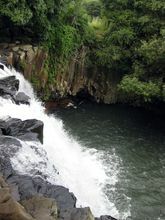 The plenty of freshwater which is coming from the highland of Mauritius is crashing down the interesting shaped lava rocks from a high of almost 10 meters. The environment of the Rochester Falls is really nice and natural. 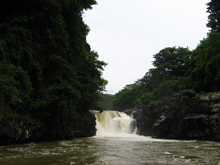 The waterfall is surrounded by sugarcane fields, banana plantations and the amazing river bed in which the waterfall is flowing. Some people jump from the top of the waterfall into the pool and actually the water should be deep enough for doing this. But I recommend you to ask a local before jumping down to ensure in case of low condensation the water is still deep enough. If you can’t see anybody around I advise against jumping down. Some locals are waiting at the waterfall to act as a guide for the visitors but unfortunately without asking before. They made it to their job to show the tourists around and to explain them something about the Rochester Falls. Sometimes they are even jumping down and afterwards they are going to collect money for the show. I would say it is appropriate to give them some (not more than 200 Rs). Some people said that they even became really barefaced and asked for 1000 Rs for their job which is a way too much. So please don’t let them overcharge you. You shouldn’t miss this unique opportunity! Alongside Mauritius’ west coast you can watch wild dolphins. It takes just some minutes on the boat until the skipper shows the place where the dolphins relax after their nightly hunt. Just take your snorkel, fin and mask and jump into the water to enjoy these great animals in their natural environment. If you’re lucky, a whole group of 20 – 30 dolphins will stay at one place and you’re right in the middle. It is especially impressive to watch the little babies who won’t leave their mother’s side. You can even hear their ‘singing’ under water! Of course there are some companies who want to earn money with the dolphins. Unfortunately their behaviour is quite disrespectful because they are chasing the animals with their boats to get really close. That means a lot of stress and sooner or later the dolphins will search for other places to rest. Fortunately there are also companies who work environment-friendly. One of them is Dolswim ltd. whose chief skipper even presides a local environment protection group. They fight for new laws concerning the protection of dolphins and whales. Carried out responsibly, dolphin watching is an unforgettable experience! 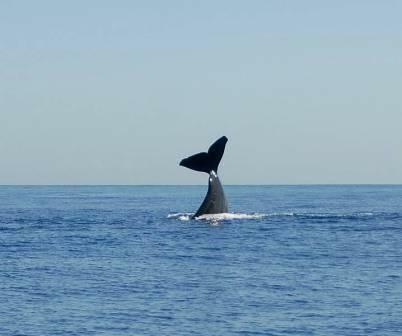 Dolswim offers also whale watching, however, you have to be luckier to see these giants. Dolphin watching and BBQ with lobster on Île aux Bénitiers (day trip): adults 2100 Rs; drinks and BBQ inclusive. „Thank you very much that everything worked absolutely flawless. Swimming with the dolphins was perfect and our skipper was a very nice guy. 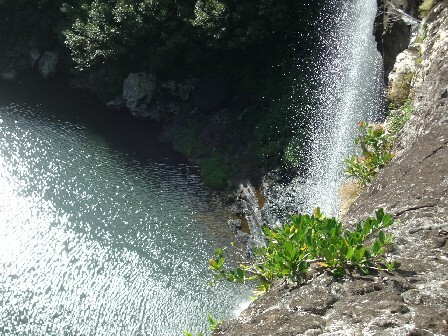 The Tamarin Falls are probably the most famous falls in Mauritius. Unfortunately a lot of visitors just look at them from the view point and leave. We recommend to take a local guide and climb down the falls. The path leads along the different steps of the waterfall (7 in total). Rugged footwear is necessary to avoid injuries. You should also bring your insect repellent. Small paths lead down to the waterfalls. Just be careful and don’t rush, so you can enjoy the nature that’s surrounding you. The view at the falls and the huge valley are indeed breath-taking. When you reach the third step you can have a bath in the basin and enjoy the refreshing water. After this little break the ascents starts. It will take you less time than the descent because you take a steep path at the edge of the valley. When you reached the top it is just a short walk to the spot where you started the tour. Coming from the west to Quatre Bornes you just follow the main road. When you reach a bigger junction with a traffic light you turn right in direction “Vacoas”. Just follow that road for approximately 10 – 15 min. until you see a sign to your right that leads to “Henrietta”. Take that road and follow it until you reach a bus terminal. Here you will see some guides. If you want to plan it in advance you can also call Prakash (+230 684 9884), one of the guides. It is recommended to start the tour at 9 am. So you avoid the midday sun. A tour to the third basin will take around 2,5 hours. If you want to climb down all 7 steps you should plan a whole day for it. To enjoy the nature a little bit longer you can take a walk along the seaside (sturdy shoes are recommended). Please don’t climb over the wooden fence – there have been bad accidents already. If you are in L’Escalier on the B8 you’ll find a road to the right at the end of the town. There is also a little sign. Make sure you turn right and just follow the signs. If you are not sure where to turn, just ask somebody in L’Escalier. Mauritians are usually happy to help. The road is quite bumpy and adventurous. 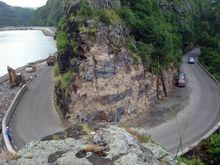 Between Le Moren and Baie du Cap is located the impressive hairpin curve called Macondé which you will have to pass if you are driving along the coastal road in the south of Mauritius. It is worth it to stop the car behind the curve and to climb up the rock from where you will have a breathtaking view. The curve Marondé is one of the interesting you could say frayed shape of the south coast of Mauritius which got created by the earlier volcanic eruptions. The cap was named after the governor Jean Baptiste Henri Condé who had build an outlook on the rock long time ago. There are some things, which are instantly associated with Mauritius, like for example rum arrangé, the Dodo and not to forget: ship models. The ship model factory Historic Marine, which is located in Goodlands, has contributed a lot to the fame of Mauritian ship models. In 1982 three Mauritian friends along with craftsmen launched Historic Marine. One year after tourists got acquainted to their models. At this time the workforce of the factory attains the figure of 35. One year later this number doubled already and their product ranges to 20 different models. Their reputation began to cross the Indian Ocean to Europe. The year 1987 marked the beginning of a real boom period: at this time Historic Marine employed more than a hundred workers and reached the production target of 1200 ship models annually. As a freight forwarder it dispatched its models to all destinations around the world from now on. Nowadays Historic Marine is not only well-known on the small island, but is popular worldwide for its high-quality replicas of historic ships. The King of Sweden, Phil Collins and François Mitterand rank among their clients. In almost every five star hotel the ships of Historic Marine are exhibited. Reguarly there are journalists and film teams coming to the factory to make reports about it. The show room and the workshop can be visited for free also by tourists, who do not want to purchase a ship model. Do not miss out on visiting this interesting place! In the show room you can admire the masterpieces of Historic Marine. There you can see for example the famous Bounty or the three ships Santa Maria, Nina and Pinta, whith which Columbus set sail. In the workshop you can observe how the artisans are working. To build detailed and exact replica of the historic ships, the talented craftsmen are using museum plans, photographs and drawings. While they are making the models out of teak, balsa or mahagony wood, the women are making the most difficult job: the stringing of the sails and the painting of the ships. 100 up to 1500 hours of work are needed to complete one model. It can take around seven months till one ship model is finished. In Mauritius there are a lot of ship model factories, but Historic Marine is the biggest one and famous for it´s professionalism. Furthermore it is said, that this factory provides the best ship models in the country concerning the quality. To whom it is important that the ship is detailed and of high quality, should purchase the model at Historic Marine. Nevertheless the masterpieces have their price, which depends on the amount of work. One ship models costs between 320 and 7000 Euro. The cross section of a ship can be bought for a price of 210 to 500 Euro. Who wants to purchase a less expensive souvenir, can look for a typical Mauritian Pirogue for 20 to 50 Euro. After buying a model ship at Historic Marine, there will be a quality control before the ship is brought safely packed to the airport. The product is “duty free”, you only need to pay duty on it in your home country. Small and medium ship models can be taken into the plane as hand luggage.